This song resembles the traditional music you can find in Mongolia or Tuwa. Ouverture in A minor is a improvised peace of music we played as opener to our concert. This is the first video of our “Live Studio Session” from “dp.O.Ton Projekt”. It was a spontaneous Jam session we did in between to relax a bit. A piece of music for overtone singing, guitar and campanula. “Wang Tang” is one of the first pieces I have ever written for this project. Originally written for classical guitar and overtone singing the music gains a whole new level by adding the didjeribone. Marc Miethe enriches the sound of overtone vocals and guitar masterly with the use of this instrument. is a little making of Video witch captures the atmosphere in the Studio. 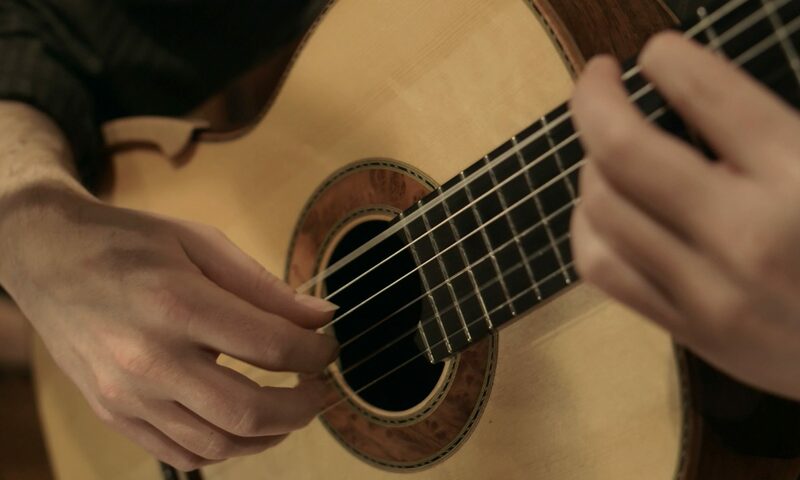 The guitar that I play in the Video GELB was handcrafted by Christian Koehn. “O.Ton X Session” is a series where I’m confronting Artist of various Genres with my overtone singing. You will hear a piece of music in combination with overtone singing and a short interview.